Since 1997, the Chan Centre for the Performing Arts at UBC has earned an international reputation for its striking design, stellar acoustics, and exceptional programming. Artists, critics, and patrons alike are unanimous in their praise of the multi-faceted facility, winning it a place among North America’s premier performing arts venues. Presenting an outstanding roster of internationally renowned artists each season. Supporting local arts and culture organizations through the Chan Endowment Fund at the University of British Columbia. Hosting approximately 160,000 people per year, at various performances, lectures, and graduation ceremonies. Providing innovative and accessible programming for a diverse audience, including those with limited access to the performing arts. Providing space for the UBC School of Music and UBC Department of Theatre and Film programs to rehearse and perform in a world-class venue. 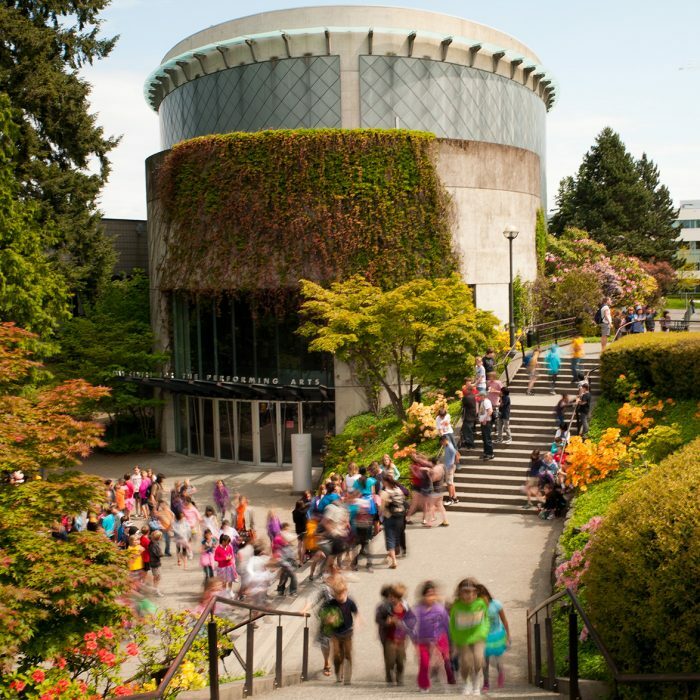 The Chan Centre for the Performing Arts is part of the University of British Columbia, a public research university (charitable business # 10816 1779 RR0001), and provides income tax receipts for contributions. Find out more here. Support the next generation of music lovers! The Chan Centre’s Roots and Shoots program provides children from under-resourced schools a rare opportunity to experience world music and learn about diverse cultures. Donors like you can help even more young learners develop into well-rounded and culturally-aware citizens. Your gift to the Chan Centre for the Performing Arts will help us continue to provide world-class, innovative and accessible programming for a wide variety of audiences. Help bring the performing arts to people who may otherwise not be able to access them.